ONLYOFFICE offers many tools to interact with your clients: chat rooms and mail, document collaboration features and mass mailing, but did you know that you can call them right from your CRM? Use the Twilio integration to make and receive calls from a web browser. Learn how to integrate Twilio with ONLYOFFICE from our today’s post. 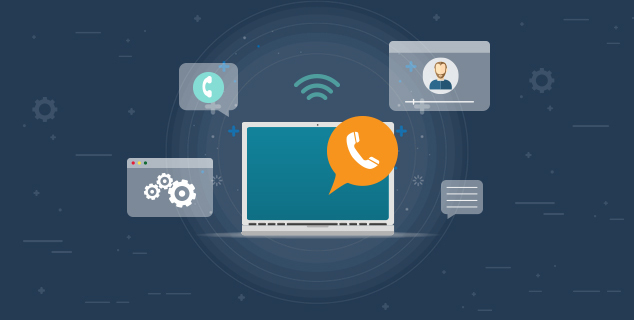 Twilio is a cloud communications platform provided as a service allowing software developers to programmatically make and receive phone calls and send and receive text messages using its web service APIs. To use the VoIP functionality, you will need the Twilio Account SID and Auth token. Go to the Twilio Console page in the ‘Account Summary’ section. Go to the administration Settings. Follow Integration -> Third Party Services. Click the switcher next to the Twilio service. Specify API credentials in the appropriate fields: Account SID and Auth token. Once you enable the Twilio service, you will be able to add and manage virtual numbers. Use the Buy phone number option to buy the necessary number selected from the list of the available ones. Use the Link purchased number option if you already have some phone numbers purchased earlier in your Twilio account. When all the virtual numbers are added, select one of them from the Virtual numbers and operators list to set up it. Click the Outgoing calls switcher to be able to make outgoing calls using this number. Click the Call recording switcher to be able to record all incoming and outgoing calls for this number. waiting timeout, operator pause, waiting ringtone. After that your sales managers can start working: receive and make calls, view call list, automatically add information about calls to the customer base. All the incoming calls from new phone numbers that are not stored in your customer base will be automatically saved as new CRM contacts. For more VoIP tips and tricks visit our Help Center.